The end of the document, projects that are focused on a specific health care worker population (e.g., home health care worker) or a particular workplace setting (e.g., dental office) are listed for ease in identifying projects related to specific interests. 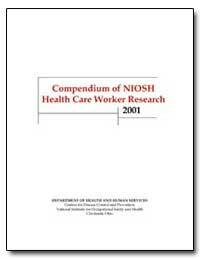 NIOSH-funded health care worker projects are either conducted by NIOSH researchers or cooperation with outside research institutions, or through research grants. 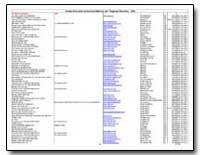 Those projects being conducted through the NIOSH grant program have the Principal Investigator listed as the project contact. All other projects list the NIOSH researcher as the project contact.